a1) Disconnect the device from the PC. How do I wipe the BlackBerry using Jl Cmder? How do I determine if my BlackBerry is “unlocked”? What does the Blackberry PRIV infra-red camera do? How can I retrieve a deleted Phone Number? 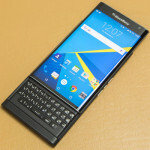 © 2019 BlackBerry Frequently Asked Questions FAQ. All Rights Reserved.